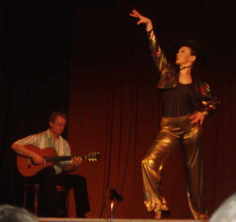 for the past 25years together with my husband on Classical Spanish Guitar. In the Spring of 2007 I started teaching the art locally. 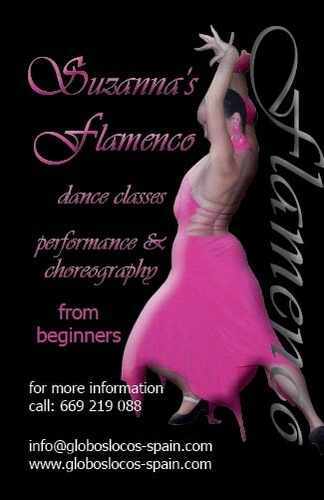 The classes are held in Alcalali & Calpe. 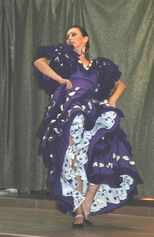 I also offer Flamenco Dance Workshops. 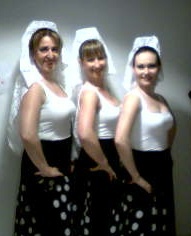 These are particularly popular for groups of ladies who come to the Costa Blanca for Hen Parties. 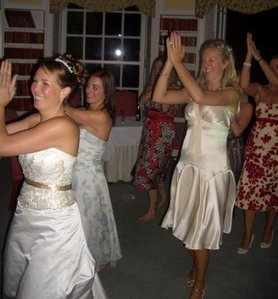 I can teach you a short routine to perform at the forthcoming wedding to amaze your fellow guests! See below for fun photos taken during a workshop and the ensuing wedding. The maid of honour, Natalie sent their thanks after the wedding.